Regardless what one might say about Jimmy Carter as a president (I don't remember since I was born about a week before he left office), he comes across as sincere and compassionate. He was shorter than I expected, but he was very friendly and open. Here is a shot of him I took as he chatted with several of us helping plan for the Celebration of a New Baptist Covenant. We do not have to agree with Carter politically to appreciate his desire to see Baptists come together and celebrate our commonalities. I had 3 children during Regan's time and all remember about him is dirty diapers! I was a teen during Carter's presidency. I thought him about average as a president (although he looks better every year compared with all we've had since!). As a teen, I was disappointed that he blew the chance to get us universal health care. I disagreed with his support of the Shah of Iran and believed (still do) that it was part of the cause of the fundamentalist Iranian revolution. But he got us the first energy policy in U.S. history (ending the gas lines, giving tax credits for solar power on homes, forcing the auto manufacturers to build more fuel-efficient cars--all of which was ended under Reagan) and paid off most of the budget debt incurred by the Vietnam War (blown under Reagan and Bush I). I was able to vote for the first time in 1980 and voted for him, despite being angry about the boycott of the Olympics over the Soviet invasion of Afghanistan (I do not believe sports should be politicized). 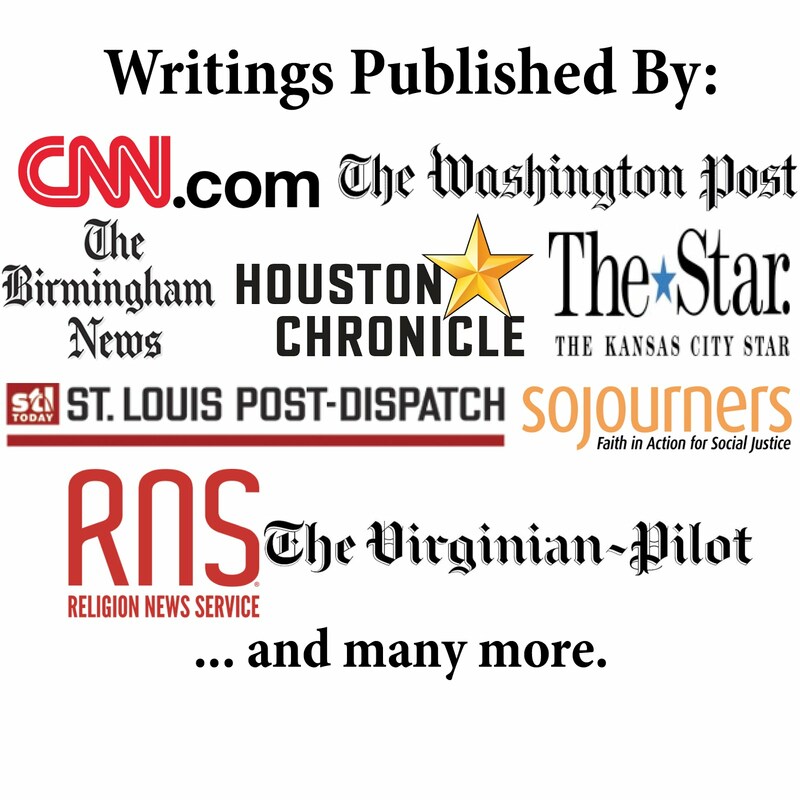 But I have admired him even more--much more--as an ex-president and Baptist layperson. Some other presidents (I won't mention names) sought out Christian votes but refused to go to church in office. 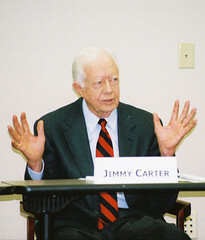 Carter taught Sunday School at FBC Washington, D.C. all during his presidency--as he has ever since at his home church. Carter has been on short term mission trips--since before he was governor of GA.
Carter witnessed to the Chinese ambassador at the White House and got him to permit the importation of Bibles for the first time since Communists took over. As president, Carter promoted human rights as U.S. foreign policy (directly because of his Christian faith) and secured the Egypt-Israel peace treaty--the ONLY peace treaty in the Middle East that has stood the test of time--not one line has been violated. But after office, he founded the Carter Center to keep promoting human rights, democracy, and the end of disease all over the world. He has monitored thousands of elections. He reached out to former President Ford and other Republicans and put them on the Carter Center board. What I admire about Carter is that his faith propelled him to a life of service--to his country as a Naval officer, Georgia Governor, and U.S. President, but more importantly to the Kingdom of God and to the world that God loved enough to send Christ in everything he has done. He campaigned in 1975-6 by saying that he would never lie to us. In my lifetime, he is one of the few politicians, and only president, of either party, who never has. I think he has shrunk slightly with age, but he was never tall. It is his faith and his life that loom large. Diane and Michael: Thanks for sharing!